Experience is the ultimate cultivator of talent. In the music world, those that have been around the block use the phrase, "paying your dues" to describe the work experience, struggle and strife that one has to go through before they can say they've landed in the industry. Jazz is an exceptionally hard world to exist and thrive in. Artists, even the very best of them, describe it as cutthroat, exhausting and rewarding to an extreme when you finally find your voice among all the noise. As a critic, I find jazz to everything the musicians say it is. But above all, it's living art. And to find the hidden gems among the overcrowded noise filled jazz world... well, it's why I do what I do. 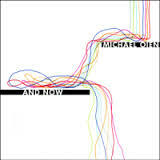 N.Y.C.-based jazz bassist and composer, Michael Oien is just that... a hidden gem. 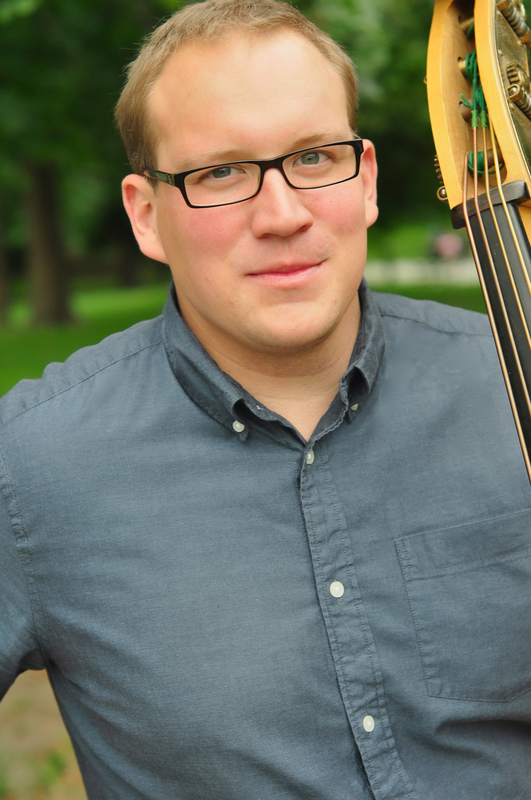 Jazz bassists are often the most surprising when they come out of the shadows and into the spotlight. With his debut album, Michael Oien is doing just that. As a player, he's paid his dues alongside the very best in jazz today, both nationally and internationally. His list is extensive and boasts of acting as a leader for the infamous Matthew Garrison's, Shapeshifter Lab, as well as a sideman for trumpeter Christian Scott and guitarist Nir Felder. With the aptitude and likeness to be able to play with the "heavies" of modern and post-modern jazz such as those named above, it's obvious that Oien's talent through his years in New York has developed exponentially. However, in his debut album "And Now" Oien doesn't have to show off or impress the listener with virtuosic like mathematical-based tunes. Instead Oien engages his listener in a complete artistic statement through an entirely original album. With panache and grace, the band as a whole (Michael Oien, leader and bass: Nick Videen, alto: Matthew Stevens, guitarist: Jamie Reynolds, pianist: Eric Doob, drums) effortlessly moves from one track to the next creating a certain kind of mystic atmosphere within every composition. With jazz voted as the least popular music in America. Artists such as Oien that are working to shake the ground it sits upon as a genre to create a more approachable and desirable version of the music than has been popular in generations before can save jazz. I caught up with Oien for an interview earlier this year and was excited to hear the story behind this very listenable and telling debut, his artistic process and what he thinks is right and wrong with jazz today. "And Now" has been a cumulative process. When writing an album, it's favorable to give it time and really pick what you want to represent you and whom you want to play with. With this, I really wanted to focus on simple melodies and make an album that was wholly listenable. I lean towards making my music personable and easy to listen to because it seems that a lot of musicians today are making their music difficult to connect with the listener. Virtuosity is an impressive thing but there's a lot of folks out there that are virtuous that still sound great and are as equally impressive due to their style and sound. Yet there's a lot of mediocrity (this is true of any genre, really) in the genre. Just because you come out of school for jazz doesn't mean it's your time to create an album. Technical ability doesn't equal greatness. This is where education is going wrong. We are pulling the oral tradition out of the music and making it about the technical and academic elements. I'd like to think of jazz as the most punk of any art. If people say it's the least popular music then doesn't it make it "punk?" There's nothing that can be forced with jazz and if you take away the listenable element, than you've removed what makes Jazz, good. Bringing the listening aspect back into the music is important. I make a lesser attempt at being a "jazz musician" and more of a collective effort through more of my soul so that I may be understood as an artist and songwriter. Oien is certainly one of the musicians that have the ability to shape jazz for future audiences. There's this relative sound that tears through his music... you can hear the natural composer from start to finish. I hope you'll all give his brilliant album, "And Now" a thorough listen. It's now available through his website and iTunes, Amazon and most music outlets. Thank you to Michael Oien for taking time to teach me about your music and allow me to hear your voice through your sound.